Tom Hambridge is a Grammy-winning singer, songwriter, producer & drummer. Tom’s production work includes duets or solo projects with: Eric Clapton, Keith Richards, Keith Urban, Steven Tyler & Joe Perry of Aerosmith, Van Morrison, Joss Stone, Carlos Santana, Kid Rock, B.B. King, Buddy Guy, Gregg Allman, Billy Gibbons, Warren Haynes, Keb Mo, Susan Tedeschi, Derek Trucks, George Thorogood, Gary Clark Jr., Allen Toussaint, Delbert McClinton, Johnny Winter, James Cotton and many others. Tom has had over 500 of his songs recorded by such diverse artists as Lynyrd Skynyrd, Eric Clapton, Joe Bonamassa, ZZ Top, Keb Mo, Buddy Guy, B.B. King, Chris Young, Joe Nichols, Rodney Atkins, Montgomery Gentry, George Thorogood, Gretchen Wilson, Meatloaf, Billy Ray Cyrus, Rascal Flatts and many others. His songs have been included in many major motion pictures, TV shows from American Idol, Criminal Minds to The Super Bowl. 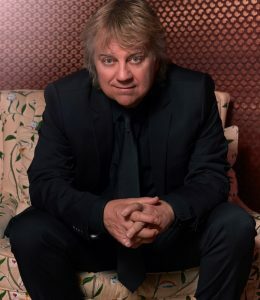 Tom has produced 6 Grammy nominated albums , won two Grammy’s, won countless Handy and Blues Awards, 8 Boston Music Awards, ASCAP Country Music Awards, He was the recipient of the prestigious KBA Award in Memphis (Keeping the Blues Alive) and has been inducted into the Buffalo Music Hall Of Fame.